This LP has 75 parts. Original Thread: A pink kitten and a baby elephant loot the world in PMD: Explorers of Sky! Just as I was ready to post, the old thread got archived. Time to make a new one! 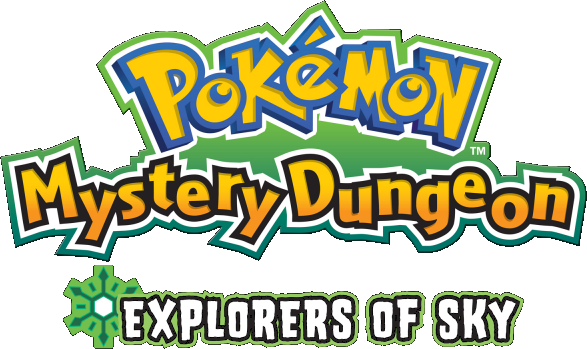 Pokemon Mystery Dungeon: Explorers of Sky is the 5th installment of the PMD series, after Red/Blue Rescue Team, and Explorers of Time/Darkness. It was released in 2009 and developed by Chunsoft, who started their own personal brand of rogue-likes back in 1993 with a spin-off starring Torneko from Dragon Quest IV. While most of their mystery dungeon games are spin-offs, featuring other Dragon Quest characters and Final Fantasy's Chocobo, they also created Shiren the Wanderer. Compared to every other rogue-like ever, Pokemon Mystery Dungeon is easy as hell. It's the most forgiving of Chunsoft's mystery dungeon series (which are collectively easier than a lot of other rogue-likes anyway), which is understandable, considering Pokemon's target audience. The most-praised points of PMD are the story and music. While Sky's plot is nearly identical to Time and Darkness, it adds prequel and sequel bonuses in the form of special episodes. As a third version, it also has some great and abusable new features Time and Darkness lacked. Don't spoil stuff the LP hasn't covered yet! Talking about other PMD games besides Time/Darkness/Sky is okay, though. Game text is in italics; my comments are in plain. Character dialogue will be denoted by a facepic or an asterisk.